Comment: Need a general home inspection done in Norwalk. Comment: Looking into a condo which is in a short sale financial state with the owner and bank. My wife and I live out of state so would need to coordinate with the realtor in CT and most likely an attorney for the purchase. Home is located in Timber Oaks community in Bethel, CT. The home has been under duress it appears due to visible wear and very evident water damage under kitchen sink and corner(s) of wood flooring in kitchen, Looking for a full and comprehensive inspection of the whole gamut from plumbing to electrical to roofing. Whatever is possible so as not to inherit a lemon or at minimum know what we are dealing with in order to gutting part of it or repairing as needed. Bethel Home Inspectors are rated 4.80 out of 5 based on 469 reviews of 18 pros. 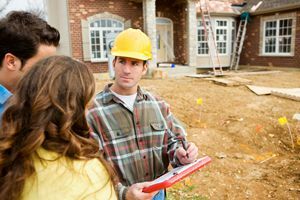 Not Looking for Home Inspection Contractors in Bethel, CT?